Canadians were back at it last week on the college baseball circuit. The boxscores were filled with impressive statistics from the mound and the batters box. Read below to find out all the ins and outs. Garrett Goodall (Nanaimo, BC) was outstanding for Embry Riddle in Game 2 of their series with Florida Tech. In their 11-0 win Goodall went the distance, tossing a complete game, nine inning shutout. He allowed two hits, two walks and struck out four. Over 41 2/3 innings this season the sophomore owns a 2.16 ERA. 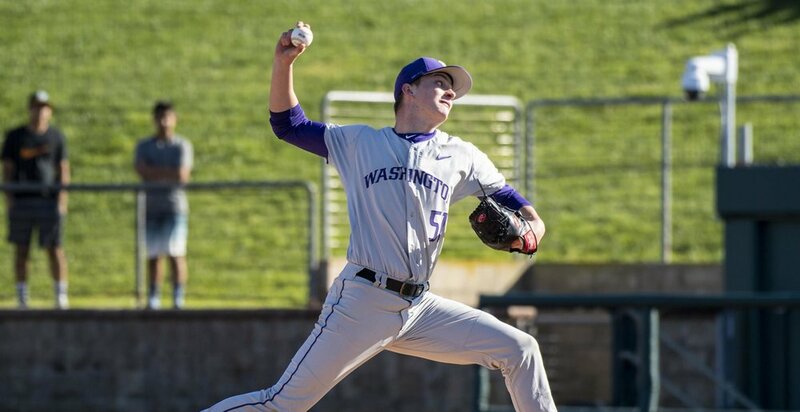 Freshman David Rhodes (White Rock, BC) got the ball in Game 1 of the University of Washington Huskies Pac-12 series with the University of Southern California. Rhodes worked six scoreless innings and allowed just one hit in a 7-1 win. He struck out three and improved to 4-1 on the year. Josh Burgmann (Nanaimo, BC) went 7 2/3 innings and gave up five hits and two runs in a 3-2 Game 3 win. Bergmann walked two and struck out seven. Nick Seginowich (Victoria, BC) had himself a week. After opening it with a RBI in a 7-6 win over St. Mary’s, he brought even more offence to a four-game set with the University of Texas Permian Basin. In the opener, a 16-5 win he had two hits, a walk and two RBIs. Game 2 saw him stroke two more hits, walk, drive in a run and steal a base in a win. In Game 3, another win he had two hits, including a three-run blast and four RBIs. He led his team to a sweep by hitting three home runs, a two-run shot, a three-run shot and a solo shot in a 14-10 win. He finished the game with seven RBIs and four runs scored. Through 26 games played, 25 starts Seginowich is hitting .400 with eight home runs and 32 RBIs. He owns a .468 on-base percentage and a .768 slugging percentage, good for a 1.236 on-base plus slugging. The University of British Columbia Thunderbirds are on a roll. They completed their second straight four-game sweep when they traveled to Caldwell, Idaho and swept the College of Idaho Yotes. Niall Windeler (Toronto, Ont.) got UBC off to a good start by going eight innings and allowing two runs (one earned) in a 4-2 Game 1 win. Windeler gave up four hits, walked four and struck out seven. Garrett Hawkins (Biggar, Sask.) took the ball in Game 3 and went eight scoreless innings in a 3-0 triumph. Hawkins gave up two hits, a walk, while striking out 12. James Bradwell (Gibsons, BC) got in on the pitching fun by giving up just one over 5 1/3 innings in Game 4, a 7-5 win. He surrendered two hits, issued two free passes and punched out eight. It hasn't been the greatest start to the season for the Niagara Purple Eagles as they have stumbled to a 6-14 record but they may have started to turn the corner after taking 2-of-3 from Rider University to open Metro Atlantic Athletic Conference action. Matthew Brash (Kingston, Ont.) threw a complete game, seven inning shutout to pick up his first win in a 1-0 Game 2 victory. Brash gave up six hits and a walk with six strikeouts. Ben Abram (Georgetown, Ont.) picked up win No. 5 for the NCAA DI No. 25 Oklahoma Sooners as they downed New Mexico 8-1 last week. Abram went six, giving up five hits and a run. He walked two and struck out five for the 20-4 Sooners. Ryan Johnson is having himself a season to remember. The lefty continued his strong play by tossing a complete game for Lubbock Christian in their 4-1 win over Arkansas Fort Smith. He scattered four hits, walked three and struck out 10. 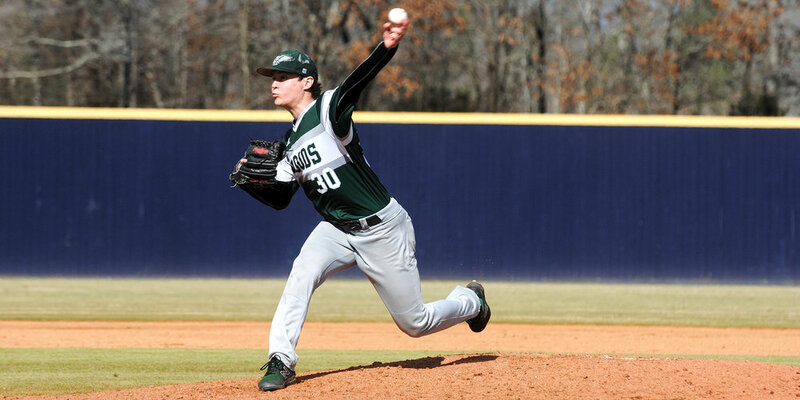 Jordan Marks allowed two runs (one earned) over seven innings for USC Upstate but took the loss in a 4-2 defeat at the hands of High Point University. Marks gave up seven hits and three walks. He struck out three but his record dropped to 2-3. Seven scoreless innings from Kyran Weemaels (Airdrie, Alta.) helped Cobrini College to a 13-1 win over Eastern University. Weemaels surrendered five hits and struck out six. Taran Oulton (St. Albert, Alta.) needed to be good for William Woods in their 1-0, Game 2 win over Hannibal LaGrange and he was. Oulton tossed a complete game, seven inning shutout, giving up just two hits and a walk. He struck out nine for the Owls. The Matadors of Cal State Northridge used six scoreless innings from Wesley Moore (Surrey, BC) to propel them to a 2-0 win over Santa Clara. Moore, who improved to 3-1 in 2019, gave up five hits and struck out seven. Tyler Hoefer (Delta, BC) went 6 1/3 scoreless innings in Central Washington’s 5-3, 12 inning win in Game 1 of their series with Concordia. He allowed four hits, walked three and punched out five to open the series. Minot State couldn't turn five scoreless innings from Zach Newman (Miramachi, NB) into a win in Game 3 of their series with Minnesota State. Newman allowed just two hits and walked one. He struck out five in what ended as a 7-0 loss. Adam Parker (Toronto, Ont.) made a pair of starts last week for Jefferson College. In the first, a 4-1 win over Metropolitan Community College, he went six innings and gave up an unearned run. Parker surrendered three hits, walked four and struck out seven in that one. In his next start he went an inning, allowing four runs (two earned). He walked one in the 20-10 Game 4 win over St. Charles. Former Toronto Mets pitcher Hayden Malenfant (Whitby, Ont.) tossed a complete-game shutout for Southeastern Community College. He allowed seven hits and struck out 10. Southeastern Community College only needed Canadians on the mound in Games 2 and 3 of their series with Iowa Lakes. Hayden Malenfant (Whitby, Ont.) went the distance in Game 2, working all nine, allowing seven hits and an unearned run. He walked one and punched out 10 to improve to 3-0. It was then Justin Snow (Mount Hope, Ont.) who tossed a complete game, seven innings in Game 3 to up his record to 3-0. Snow scattered four hits and a walk, while striking out 10 on the way to a 7-0 win. A trio of Canadians stirred the offensive drink for the Cameron Aggies last week. Hayden Jaco (Coquitlam, BC) had five hits, walked five times, drove in three and stole a base in a 3-1 series win over Tarleton State. Myles Miller (Windsor, Ont.) pounded out seven hits, drew a walk, collected a RBI, stole three bases and was hit by a pitch in the series. Tyler Wood (Winnipeg, Man.) had four hits, including a two-run home run in an 11-4 Game 3 win. He drove in three on the week. It was a tough week for San Diego Christian as they were swept in a four-game series with The Master’s University but Tyler Schindel (Victoria, BC) had a fine showing at the plate. Schindel had two hits in Games 1, 2 and 4. One of his hits was a two-run home run in Game 1. Schindel also walked twice and drove in four runs. Jon Henry (Toronto, Ont.) was stellar on the mound for Muskegon in a pair of wins. Henry picked up his first win of the week by going 2 1/3 scoreless innings, allowing two hits and striking out two in a 9-8 win over the Cleary University JV’s. He then went five innings, gave up five hits and four runs (one earned) in a 9-5 win over Glen Oaks. Henry worked around five walks and punched out five. Matt Bondarchuk (Edmonton, Alta.) 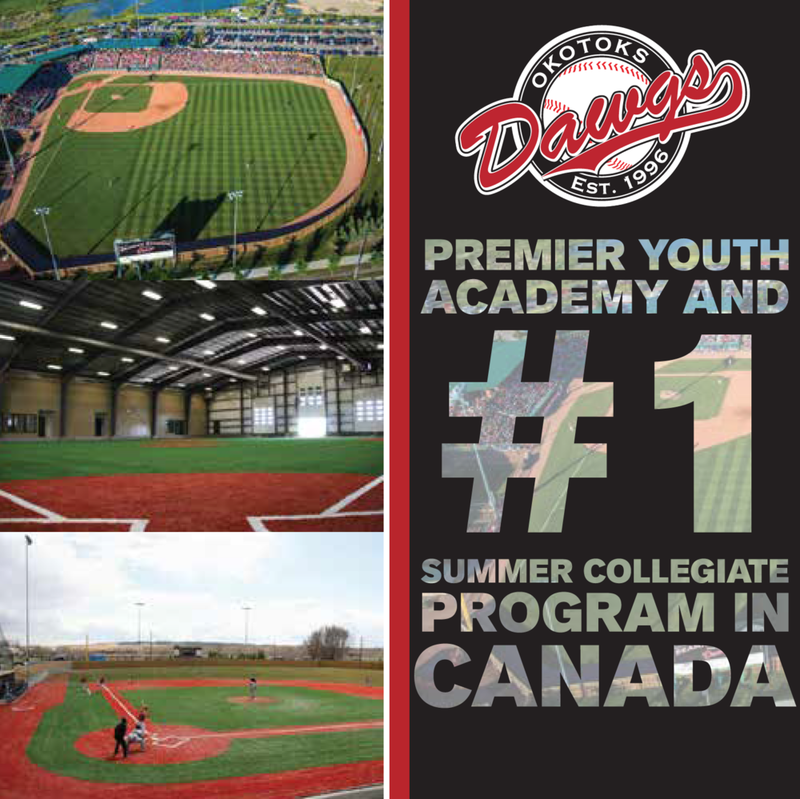 hit lead off in Games 1 and 2 of the University of Nebraska Omaha’s series with Purdue Fort Wayne. In Game 1, an 11-4 win, Bondarchuk went 3-for-5 with a walk, two RBIs and two stolen bases. He followed it up with a hit and a RBI in a 6-1 Game 2 win. Three of the nine hits for JT Patterson (Calgary, Alta.) last week were home runs. In an 11-3 win over Midland, Patterson hit a two-run blast in the top of the first and later hit a solo shot in the eighth. Later in the week in an 11-0 Game 3 win over Mayville State he hit a two-run home run. In all he had nine hits, a walk and drove in nine. Austin Watamaniuk (Westlock, Alta.) is hitting .397 for the 16-3 Benedictine College Ravens. Benedictine had a 4-0 week behind seven hits, three walks and two RBIs from Watamaniuk. 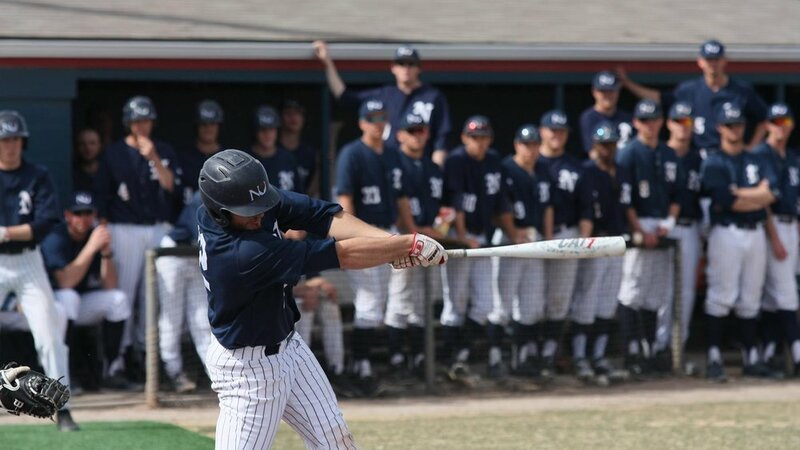 He smashed a home run in a 6-3 Game 2 win over Missouri Valley College. The Canisius Golden Griffins hope their conference opening series with Siena is a sign of things to come. Overall it was a 4-1 week as the Golden Griffins beat Kansas State and swept Siena. In a 6-5 loss to Kansas State, the only of the week, Andy Leader (Kitchener, Ont.) had a hit. He started conference play with a 2-for-5 game with a walk and two RBIs. In the 14-12 win, Leader hit a solo home run in the bottom of the first to tie the game at one. After a hit in Game 2, Leader went 2-for-5 again, this time legging out a triple in a Game 3 win. Austen Swift (Toronto, Ont.) had two hits in each of Games 3 and 4 of William Jessup’s series with Ottawa University. Swift also had a hit and a RBI in Game 1 and a hit and a walk in Game 2. Game 2 of Youngstown State’s series with Oakland ended in heartbreaking fashion. The Penguins dropped the contest 7-5 in 11 innings. Drew Dickerson (Port Hope, Ont.) went 4-for-5 with a RBI and two stolen bases in the loss. He finished the week with five hits, two walks, a RBI and three stolen bases. Youngstown State is 2-20 in 2019. David Mendham (Dorchester, Ont.) collected eight hits, walked nine times and drove in 10 for the Connors State Cowboys as they extended their win streak to 13. Mendham is hitting a staggering .412 with 39 RBIs in 24 games played. London Badgers alum Daniel Lichty (Denfield, Ont.) helped Huntington to a three-game sweep of Spring Arbor University. He went 3-for-4 with a double, two triples and a RBI in the second game of the series. Five hits from Daniel Lichty (Denfield, Ont.) helped Huntington to a three-game sweep of Spring Arbor University. Lichty went 3-for-4 with a double, two triples and a RBI in a Game 2 win. He also worked two walks and stole a base in the three games. David Gauthier (Mont Sainte-Hilaire, Que.) really was all over the boxscore for Nyack. Not only did he record seven hits, a walk and seven RBIs but he also threw a complete game, nine innings in a 15-5 win over Post. Gauthier worked his way through ten hits, and a walk to allow five runs (three earned). He struck out 16 opposing hitters. Gauthier went 3-for-5 with a RBI in a 13-10 loss to Felician. In a rematch he went 4-for-5 with five RBIs and finished a home run shy of the cycle in a 25-14 win. The series got off to a good start for the Arkansas State Red Wolves in Game 1 against South Alabama. The Red Wolves were victorious by a 6-0 score and Kyle MacDonald (Mississauga, Ont.) had two hits and drove in three of the runs. He walked in a Game 2 loss and followed it up with a 3-for-4 game with three RBIs and was hit by a pitch to help the Red Wolves take the rubber match 8-1. Arkansas State commit Liam Hicks (Toronto, Ont.) hit a home run and finished with two hits and four RBIs for Mineral Area College in a 14-0 thumping of Hannibal LaGrange. In five more games during the week he had eight more hits and eight more RBIs, including a six RBI performance in a 14-2 win over Hannibal LaGrange. 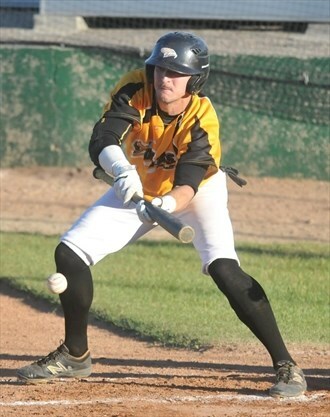 Kyle Pouncy (Kamloops, BC) had four hits, a walk and four RBIs for Northland College. Northland went 2-4 on the week. Tristan Peters (Winkler, Man.) had three multi-hit games and seven hits in all for Chandler-Gilbert Community College. He also walked once, drove in two and stole a base in a 2-3 week. Five hits and two RBIs is good but what was even more impressive was what Evan Webb (Whitby, Ont.) did by not swinging the bat. Webb walked eight times for Concord in five games. Brent McGhee (Ajax, Ont.) had two hits and two RBIs for SUNY Adirondack in a 4-2 win over Orange County Community College. After a hit in a 7-2 loss to Orange County and another hit in an 8-7 loss to Westchester, he had two more hits, along with a RBI in an 11-5 loss to Westchester. Tyler Whitbread (Camlachie, Ont.) secured the sweep for Indiana State in their series with Rutgers. Whitbread went 6 1/3 innings and gave up six hits and two runs (one earned) in the 4-3 win. He walked one and struck out three to improve to 4-0. Indiana State is now 19-2 in 2019. Monroe Community College’s Liam Devine (Guelph, Ont.) allowed a run over 2 1/3 innings to earn the save in a 4-1 win over Genesee Community College. He allowed a pair of hits and struck out four. In a 6-5 win over Genesee, Devine threw 2 2/3 scoreless innings to earn the win, his second of the season. He again allowed two hits but this time punched out two. 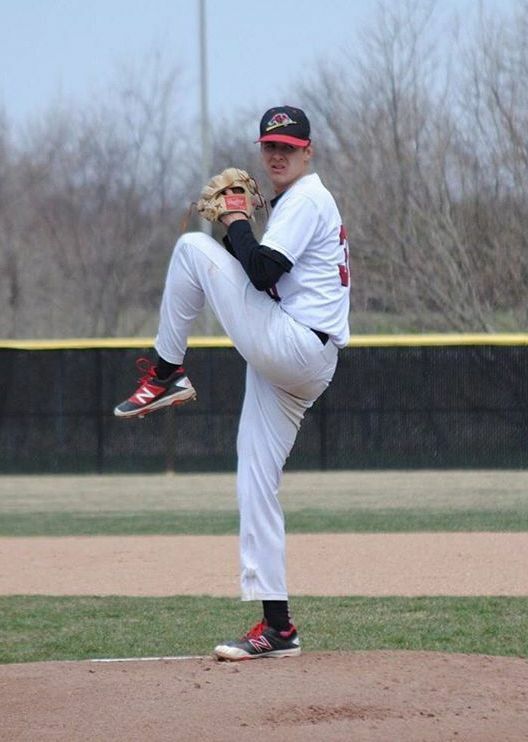 Chris Lata (Victoria, BC) threw two scoreless, hitless innings for New Mexico Junior College in a 5-2 loss to Midland. He walked one and struck out three. In Game 4 of their series with Frank Phillips he lasted 6 1/3 innings, giving up four hits, an unearned run, walked two and struck out seven to earn the win. Shawn Grandmont (Lethbridge, Alta.) did a little of everything offensively for Northwest Nazarene in a 6-1 Game 1 loss to Western Oregon. Grandmont had a hit, a walk, was hit by a pitch and stole a base in the opener. He had two hits, a RBI and another stolen base in a Game 2 win. In Game 3 of the four-game set he had two more hits, both doubles, a pair of RBIs and yet another stolen base in another win. In the finale he had two hits, two RBIs and a stolen base as Northwest Nazarene took the game and the series. Ontario Blue Jays grad Paul Rupnik (Newmarket, Ont.) had seven hits, three RBIs and two stolen bases in four games for Newman. 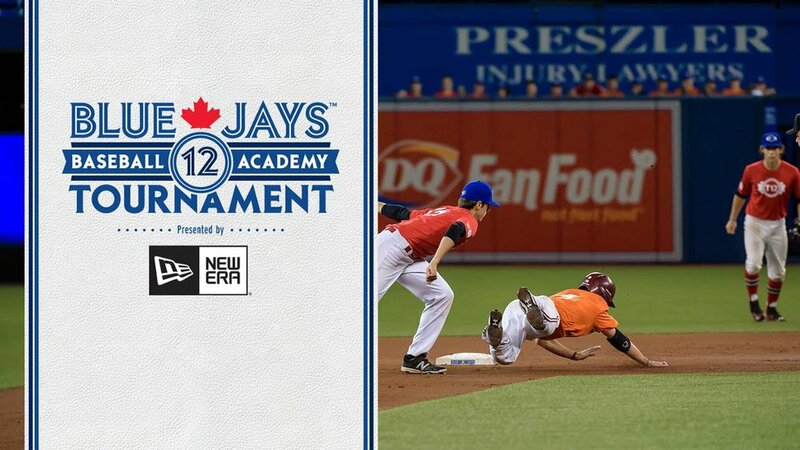 Despite a 1-3 week for Newman, including a 2-1 series loss to St. Mary’s, Paul Rupnik (Newmarket, Ont.) gave the school someone to cheer for. Rupnik had seven hits, three RBIs and two stolen bases in the four games. His best was a 4-for-5 performance in Game 2 of their series with St. Mary’s. Rupnik left the yard in that one, which was the only win of the week. Nick Follett (Toronto, Ont.) was a key cog in the offensive wheel for Rogers State in their series with Texas A&M International. Rogers State took Game 1 by a 7-6 score partially thanks to Follett’s 3-for-4 game. He also drove in a run and stole a base. He was hit by a pitch in a 10-7 Game 2 win. He helped his team to the sweep by going 3-for-5 with a walk, four runs scored and a stolen base. Nicholas Ankerman (Lethbridge, Alta.) collected six hits, walked three times, drove in four and stole four bases for Eastern New Mexico in their series with Dallas Christian. Eastern New Mexico took 3-of-4. Malcolm Boehm (Lander, BC) had five hits for Eastern New Mexico. One of his hits was a solo home run in a 10-7 Game 4 loss. Boehm also walked once, had five RBIs, was hit by two pitches and stole four bases. Through 11 games played for Michael Sookdeo (Brampton, Ont.) of Grambling State he is hitting .367. Last week he had seven hits, including a 4-for-5 game with two RBIs in a 18-8 loss to Southern. Sookdeo walked three times and drove in three on the week. Matt Quartel (Sturgeon County, Alta.) hit a solo home run for Milwaukee in Game 2 of their series with Northern Kentucky. Milwaukee would go on to win the game 5-3. Over four games during the week he had five hits, two walks and two RBIs. Gus Wilson (Duncan, BC) went 5-for-5 with a walk, a RBI and two stolen bases in Galveston’s first game of the week, a 14-9 loss to Angelina. When the week was over he finished with 11 total hits, the walk and four RBIs. Trinidad State’s Ethan Hammond (Oakville, Ont.) had six hits last week. He had a pair of two-hit games, one in a 10-7 loss to Luna and the other in an 8-3 win over McCook in Game 2 of their series. He walked twice, drove in one and swiped a pair of bases on the week. Bulletproof Baseball Academy grad Eric Mitchell (Niagara Falls, Ont.) went 9-for-11 with two home runs, three walks and six RBIs for Mitchell College. Eric Marriott (Niagara Falls, Ont.) had three hits in three games for Mitchell College. In a 13-1 win over Coast Guard, two of his three hits were home runs, a solo shot in the first and a two-run home run in the seventh. He scored five runs in a 30-0 victory over Husson. He finished the week going 9-for-11 with three walks and six RBIs. It’s been a good season for McCoy Pearce so far as he is currently hitting .311 in 25 games. Pearce added to his hit total last week by collecting six hits. He added an RBI bringing his totals to 28 hits and 18 RBIs. There has been no shortage of action during this college baseball season. Canadians continue to impress all across the map. Check next weeks edition of the BMOC for more top performances.